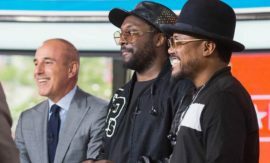 Earlier this week musician and STEM education advocate will.i.am hosted The Duke of York, who toured the i.am College Track after-school tutoring center in will.i.am’s hometown neighborhood of Boyle Heights/East Los Angeles, California. Students in the i.am College Track Boyle Heights program hosted a facility tour, showing The Duke of York project-based learning designed to teach computer graphics, robotics and Mandarin Chinese. 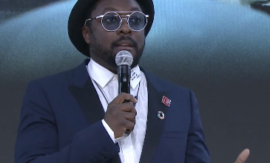 After the tour, will.i.am and The Duke of York addressed students during an assembly. During the assembly The Duke of York invited i.am College Track students to visit the UK and to meet and interact with iDEA initiative participants who attend Hackney Community College in greater London. 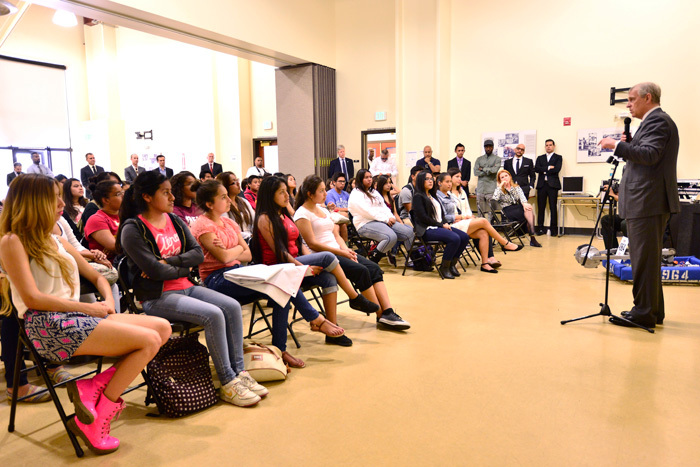 The Duke of York discusses the importance of STEM skills and related job initiatives for youth in the UK, including the recently launched iDEA initative during a student assembly for the i.am College Track Boyle Heights center students. During his remarks His Royal Highness extended an invitation to the students to interact with, and potentially visit the iDEA program students who attend Hackney Community College in greater London, UK. 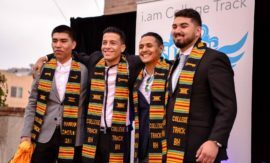 i.am College Track Boyle Heights is an after-school tutoring program operated by the i.am.angel Foundation in East Los Angeles, California. A student from the i.am College Track Boyle Heights after-school tutoring program demonstrates her computer graphic skills to The Duke of York and Sarah Ferguson, Duchess of York. 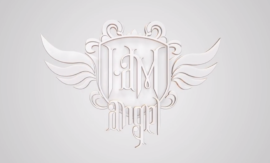 i.am College Track Boyle Heights is an after-school tutoring program operated by the i.am.angel Foundation in East Los Angeles, California. 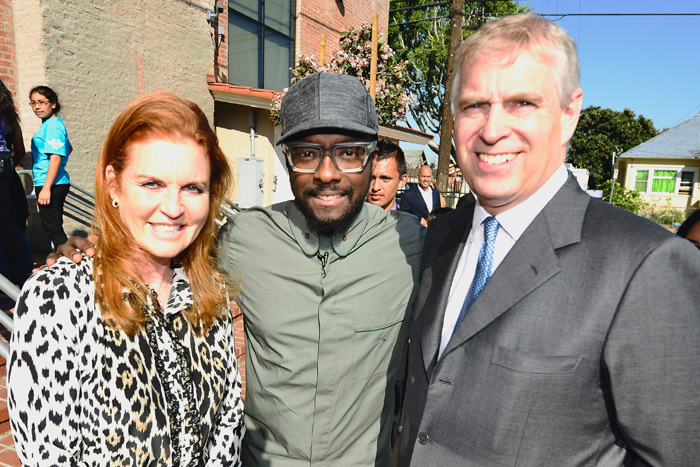 Sarah Ferguson, Duchess of York, i.am.angel Foundation President, will.i.am and The Duke of York in front of the i.am College Track Boyle Heights Boyle Heights center. i.am College Track Boyle Heights is an after-school tutoring program operated by the i.am.angel Foundation in East Los Angeles, California. 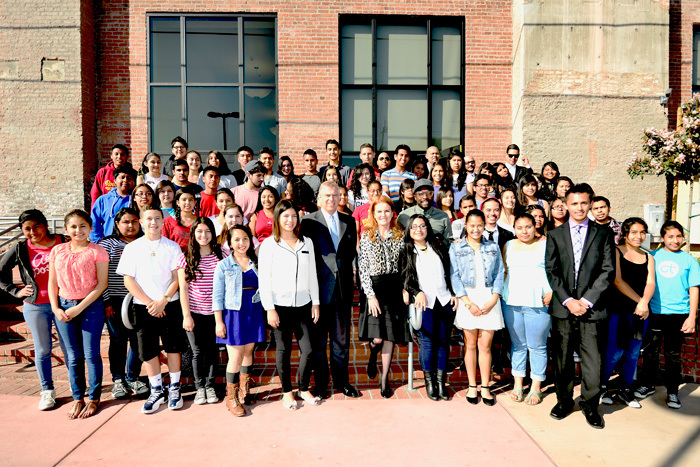 After a class assembly, The Duke of York, Sarah Ferguson, Duchess of York and i.am.angel Foundation President, will.i.am, join students from the i.am College Track Boyle Heights program for a group photo. 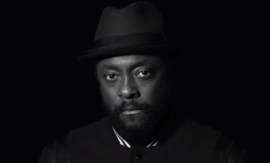 i.am College Track Boyle Heights is an after-school tutoring program operated by the i.am.angel Foundation in East Los Angeles, California.